Crowns and Bridges are fixed prosthesis that are cemented onto existing teeth or implants. 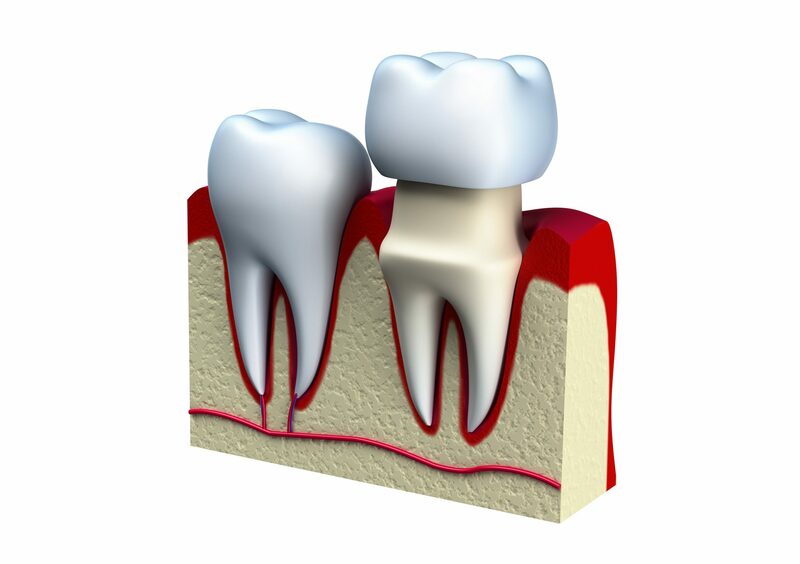 Crowns are used most commonly to entirely cover or “cap” a damaged tooth to strengthen and protect the tooth structure. Bridges are commonly used to cover a space if you’re missing one or more teeth. They are cemented to the natural teeth adjacent to the space. Crowns and bridges can be made by variety of materials eg., metal, porcelain, or zirconia. Improve a tooth’s appearance, shape, alignment and dental occlusion (bite). Procedure for crowns and bridges can be completed within 2-3 visits.